Find Your Perfect Match this Valentine’s Day at Lazada.com.ph - Hits and Mrs.
Candle-lit dinner, bouquet of flowers, a box of chocolates – do these things sound familiar? These may be some of the most common things that people prepare for during Valentine’s Day. 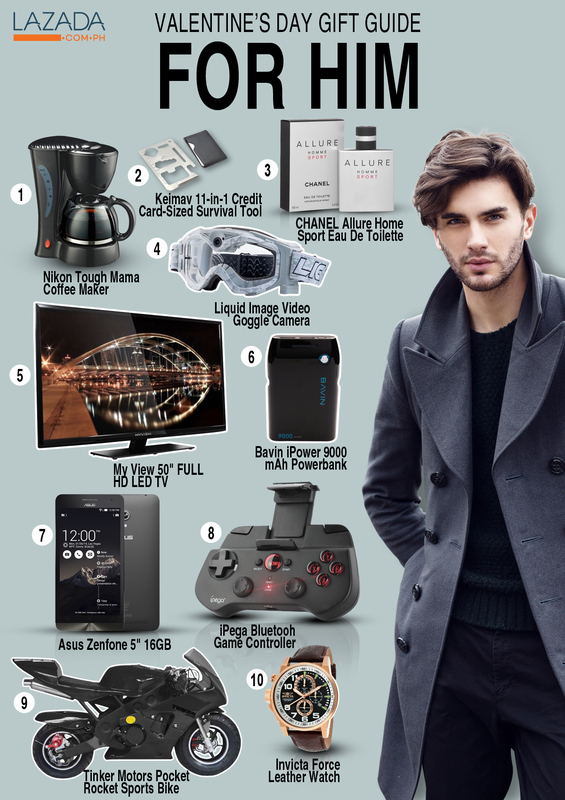 While it’s all about romance and rekindling the spark on Valentine’s Day, Lazada.com.ph, the Philippines’ Biggest Online Shopping Mall, rounds up some of coolest items to help you pick the best gift for Him and for Her without breaking a sweat — and most importantly your bank accounts. Choose from an extensive product offering in categories ranging from mobiles, tablets, and consumer electronics to household goods, toys, fashion apparel, and sports equipment. Be sure to check out www.lazada.com.ph/valentines-day/ to check out the rest of the sweetest deals for you and your special someone this Valentine’s Day, and make sure that you keep your eyes peeled on www.lazada.com.ph and the Lazada PH Facebook page as surprise discounts and deals will be unveiled to give you the most charming savings! This Valentine’s Day special is brought to you by Lazada, the Philippines’ largest online shopping mall and a pioneer in e-commerce that provides fast, convenient, and secure online shopping experience.